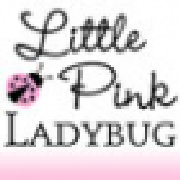 Welcome to Little Pink Ladybug! Our Brilliant Bowmaker System CLASSIC, TWISTED and SURROUND TEMPLATES are perfect for any crafter! Make your OWN beautiful hairbows on these plastic templates and reference techniques with a printed book! Occasionally we offer beautiful, durable, ribbon sculptures and boutique hairbows.Our unique grippy lining keeps clips in very fine hair or on fabric as a lapel or purse decoration! Ribbon sculptures make wonderful ornaments, present toppers or teacher gifts.